Researchers from Harvard Medical School and Massachusetts General Hospital have completed the first stage of an important collaboration aimed at understanding the intricate variables of neuropsychiatric disease—something that currently eludes clinicians and scientists. The research team, led by Isaac Kohane at HMS and Roy Perlis at Mass General, has created a neuropsychiatric cellular biobank—one of the largest in the world. It contains induced pluripotent stem cells, or iPSCs, derived from skin cells taken from 100 people with neuropsychiatric diseases such as schizophrenia, bipolar disorder and major depression, and from 50 people without neuropsychiatric illness. In addition, a detailed profile of each patient, obtained from hours of in-person assessment as well as from electronic medical records, is matched to each cell sample. As a result, the scientific community can now for the first time access cells representing a broad swath of neuropsychiatric illness. This enables researchers to correlate molecular data with clinical information in areas such as variability of drug reactions between patients. The ultimate goal is to help treat, with greater precision, conditions that often elude effective management. The cell collection and generation was led by investigators at Mass General, who in collaboration with Kohane and his team are working to characterize the cell lines at a molecular level. The cell repository, funded by the National Institutes of Health, is housed at Rutgers University. 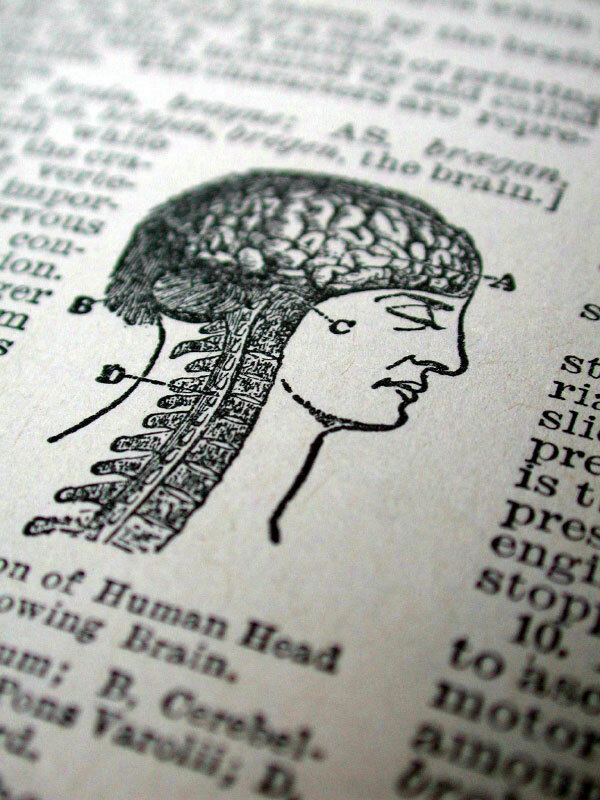 A current major limitation to understanding brain diseases is the inability to access brain biopsies on living patients. As a result, researchers typically study blood cells from patients or examine post-mortem tissue. This is in stark contrast with diseases such as cancer, for which there are many existing repositories of highly characterized cells from patients. The new biobank offers a way to push beyond this limitation. While the biobank is already a boon to the scientific community, researchers at MGH and the HMS Department of Biomedical Informatics will be adding additional layers of molecular data to all of the cell samples. This information will include whole genome sequencing and transcriptomic and epigenetic profiling of brain cells made from the stem cell lines. Collaborators in the HMS Department of Neurobiology, led by Michael Greenberg, department chair and Nathan Marsh Pusey Professor of Neurobiology, will also work to examine characteristics of other types of neurons derived from these stem cells. “This can potentially alter the entire way we look at and diagnose many neuropsychiatric conditions,” said Perlis. One example may be to understand how the cellular responses to medication correspond to the patient’s documented responses, comparing in vitro with in vivo. “This would be a big step forward in bringing precision medicine to psychiatry,” Perlis said. “It’s important to recall that in the field of genomics, we didn’t find interesting connections to disease until we had large enough samples to really investigate these complex conditions,” said Kohane, chair of the HMS Department of Biomedical Informatics. The generation of stem cell lines and characterization of patients and brain cell lines is funded jointly by the the National Institute of Mental Health, the National Human Genome Research Institute and a grant from the Centers of Excellence in Genomic Science program. 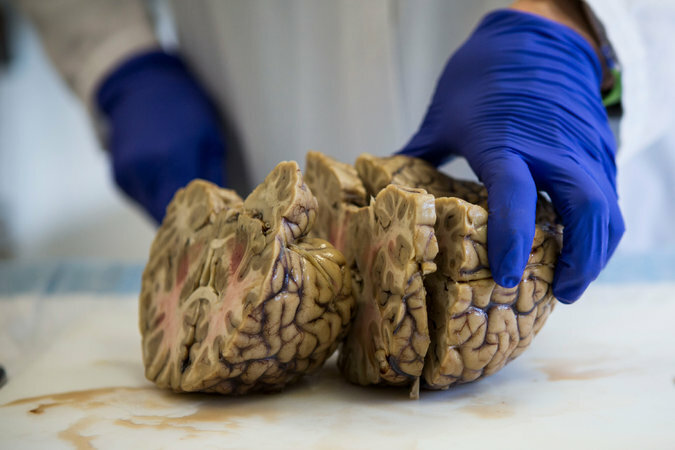 $16 Million for Brain Research, but $0 from N.F.L. Se Hoon Choi, Young Hye Kim, Matthias Hebisch, et al. Alzheimer’s disease is the most common form of dementia, characterized by two pathological hallmarks: amyloid-β plaques and neurofibrillary tangles1. The amyloid hypothesis of Alzheimer’s disease posits that the excessive accumulation of amyloid-β peptide leads to neurofibrillary tangles composed of aggregated hyperphosphorylated tau2, 3. However, to date, no single disease model has serially linked these two pathological events using human neuronal cells. Mouse models with familial Alzheimer’s disease (FAD) mutations exhibit amyloid-β-induced synaptic and memory deficits but they do not fully recapitulate other key pathological events of Alzheimer’s disease, including distinct neurofibrillary tangle pathology4, 5. 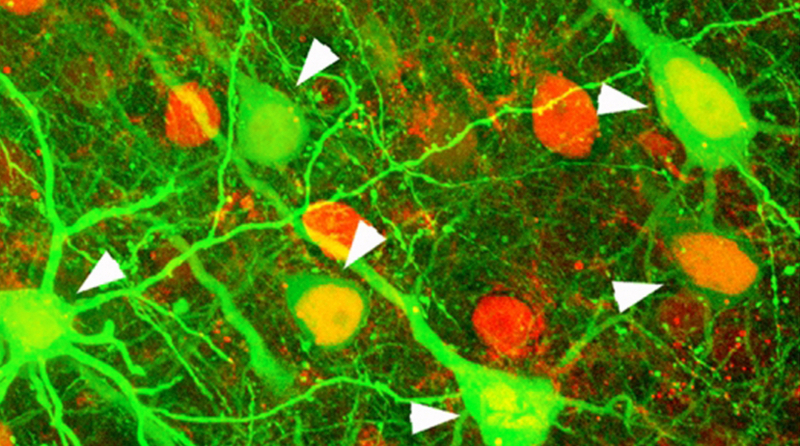 Human neurons derived from Alzheimer’s disease patients have shown elevated levels of toxic amyloid-β species and phosphorylated tau but did not demonstrate amyloid-β plaques or neurofibrillary tangles6, 7, 8, 9, 10, 11. Here we report that FAD mutations in β-amyloid precursor protein and presenilin 1 are able to induce robust extracellular deposition of amyloid-β, including amyloid-β plaques, in a human neural stem-cell-derived three-dimensional (3D) culture system. More importantly, the 3D-differentiated neuronal cells expressing FAD mutations exhibited high levels of detergent-resistant, silver-positive aggregates of phosphorylated tau in the soma and neurites, as well as filamentous tau, as detected by immunoelectron microscopy. Inhibition of amyloid-β generation with β- or γ-secretase inhibitors not only decreased amyloid-β pathology, but also attenuated tauopathy. We also found that glycogen synthase kinase 3 (GSK3) regulated amyloid-β-mediated tau phosphorylation. We have successfully recapitulated amyloid-β and tau pathology in a single 3D human neural cell culture system. Our unique strategy for recapitulating Alzheimer’s disease pathology in a 3D neural cell culture model should also serve to facilitate the development of more precise human neural cell models of other neurodegenerative disorders. 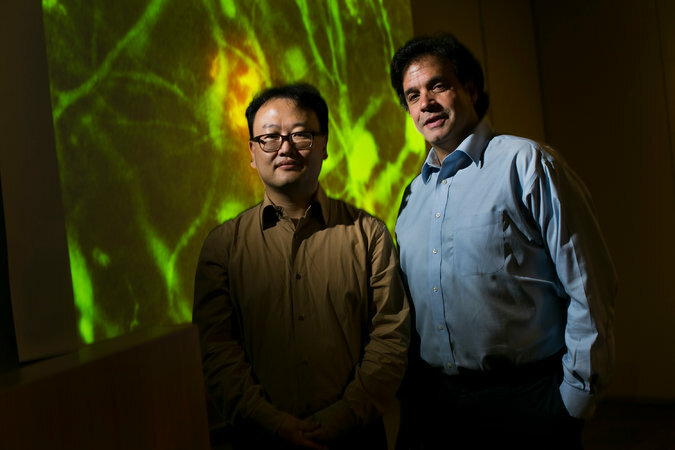 In the March 28th, 2016 issue of the journal Nature Medicine, Mark Tuszynski and his colleagues from the University of California, San Diego, in collaboration with colleagues from Japan and Wisconsin, report that they were able to successfully coax stem cell-derived neurons to regenerate damaged corticospinal tracts in rats. Furthermore, this regeneration produced observable, functional benefits. What is the “corticospinal tract” you ask? The corticospinal tracts are part of the “pyramidal tracts” that include the corticospinal and corticobulbar tracts. The pyramidal tracts are the main controllers of voluntary movement and connect their nerve fibers eventually to cells that serve voluntary muscles and allow them to contract. We call such nerves “motor nerves,” and the corticospinal nerve tracts are among the most important of the motor nerve tracts. These neural tracts are collectively called “pyramidal tracts” because they pass through a small area of the brain stem known as the pyramids, which lie on the ventral side of the medulla oblongata. Both pyramidal tracts originate in the forebrain; specifically from the so-called “motor cortex” of the forebrain. The motor cortex lies just in front of the central sulcus of the forebrain. In the motor cortex, lies thousands of “upper motor neurons” that extend their axons down to the brain stem and spinal cord. In the brain stem, the majority of these corticospinal tracts crossover (or decussate) to the other side of the brain stem and travel down the opposite side of the spinal cord. The corticospinal axons extend all the way down the spinal cord, until they make a connection (synapse) with a “lower motor neuron” that extends its axon to the skeletal muscles that it will direct to contract. The corticobulbar tract contains nerves that conduct nerve impulses from cranial nerves and these help the muscles of the face and neck contract, and are involved in facial expressions, swallowing, chewing, and so on. Damage to the upper motor neurons as a result of a stroke can rob a person of the ability to move, since the muscles that are attached to the upper motor neurons cannot receive any signals to contract. Likewise, damage to the axonal tracts (also known as nerve fibers) can paralyze a patient and rob them of their ability to move. α-synuclein is a protein found abundantly throughout the brain. It is present mainly at the neuron ends where it is thought to play a role in ensuring the supply of synaptic vesicles in presynaptic terminals, which are required for the release of neurotransmitters to relay signals between neurons. It is critical for normal brain function. However, α-synuclein is also the primary protein component of the cerebral amyloid deposits characteristic of Parkinson’s disease and its precursor is found in the amyloid plaques of Alzheimer’s disease. Although α-synuclein is present in all areas of the brain, these disease-state amyloid plaques only arise in distinct areas. Imaging of isolated samples of α-synuclein in vitro indicate that it does not have the precise 3D folded structure usually associated with proteins. It is therefore classed as an intrinsically disordered protein. However, it was not known whether the protein also lacked a precise structure in vivo. There have been reports that it can form helical tetramers. Since the 3D structure of a biological protein is usually precisely matched to the specific function it performs, knowing the structure of α-synuclein within a living cell will help elucidate its role and may also improve understanding of the disease states with which it is associated. If α-synuclein remains disordered in vivo, it may be possible for the protein to achieve different structures, and have different properties, depending on its surroundings. It has long been known that elucidating the structure of a protein at an atomic level is fundamental for understanding its normal function and behavior. Furthermore, such knowledge can also facilitate the development of targeted drug treatments. Unfortunately, observing the atomic structure of a protein in vivo is not straightforward. X-ray diffraction is the technique usually adopted for visualizing structures at atomic resolution, but this requires crystals of the molecule to be produced and this cannot be done without separating the molecules of interest from their natural environment. Such processes can modify the protein from its usual state and, particularly with complex structures, such effects are difficult to predict. The development of nuclear magnetic resonance (NMR) spectroscopy improved the situation by making it possible for molecules to be analyzed under in vivo conditions, i.e. same pH, temperature and ionic concentration. More recently, increases in the sensitivity of NMR and the use of isotope labelling have enabled determinations of the atomic level structure and dynamics of proteins to be determined within living cells1. NMR has been used to determine the structure of a bacterial protein within living cells2 but it is difficult to achieve sufficient quantities of the required protein within mammalian cells and to keep the cells alive for NMR imaging to be conducted. Recently, researchers have managed to overcome these obstacles by using in-cell NMR and electron paramagnetic resonance (EPR) spectroscopy. EPR spectroscopy is a technique that is similar to NMR spectroscopy in that it is based on the measurement and interpretation of the energy differences between excited and relaxed molecular states. In EPR spectroscopy it is electrons that are excited, whereas in NMR signals are created through the spinning of atomic nuclei. EPR was developed to measure radicals and metal complexes, but has also been utilized to study the dynamic organization of lipids in biological membranes3. EPR has now been used for the first time in protein structure investigations and has provided atomic-resolution information on the structure of α-synuclein in living mammalians4,5. Bacterial forms of the α-synuclein protein labelled with 15N isotopes were introduced into five types of mammalian cell using electroporation. Concentrations of α-synuclein close to those found in vivo were achieved and the 15N isotopes allowed the protein to be clearly defined from other cellular components by NMR. The conformation of the protein was then determined using electron paramagnetic resonance (EPR). The results showed that within living mammalian cells α-synuclein remains as a disordered and highly dynamic monomer. Different intracellular environments did not induce major conformational changes. The novel use of EPR spectroscopy has resolved the mystery surrounding the in vivo conformation of α-synuclein. It showed that α-synuclein maintains its disordered monomeric form under physiological cell conditions. It has been demonstrated for the first time that even in crowded intracellular environments α-synuclein does not form oligomers, showing that intrinsic structural disorder can be sustained within mammalian cells. Freedberg DI and Selenko P. Live cell NMR Annu. Rev. Biophys. 2014;43:171–192. Sakakibara D, et al. Protein structure determination in living cells by in-cell NMR spectroscopy. Nature 2009;458:102–105. Yashroy RC. Magnetic resonance studies of dynamic organisation of lipids in chloroplast membranes. Journal of Biosciences 1990;15(4):281. Alderson TA and Bax AD. Parkinson’s Disease. Disorder in the court. Nature 2016; doi:10.1038/nature16871. Theillet FX, et al. Structural disorder of monomeric α-synuclein persists in mammalian cells. Nature 2016; doi:10.1038/nature16531. Ken Kadoya, Paul Lu, Kenny Nguyen, Corinne Lee-Kubli, Hiromi Kumamaru, Lin Yao, et al. The corticospinal tract (CST) is the most important motor system in humans, yet robust regeneration of this projection after spinal cord injury (SCI) has not been accomplished. In murine models of SCI, we report robust corticospinal axon regeneration, functional synapse formation and improved skilled forelimb function after grafting multipotent neural progenitor cells into sites of SCI. Corticospinal regeneration requires grafts to be driven toward caudalized (spinal cord), rather than rostralized, fates. Fully mature caudalized neural grafts also support corticospinal regeneration. Moreover, corticospinal axons can emerge from neural grafts and regenerate beyond the lesion, a process that is potentially related to the attenuation of the glial scar. 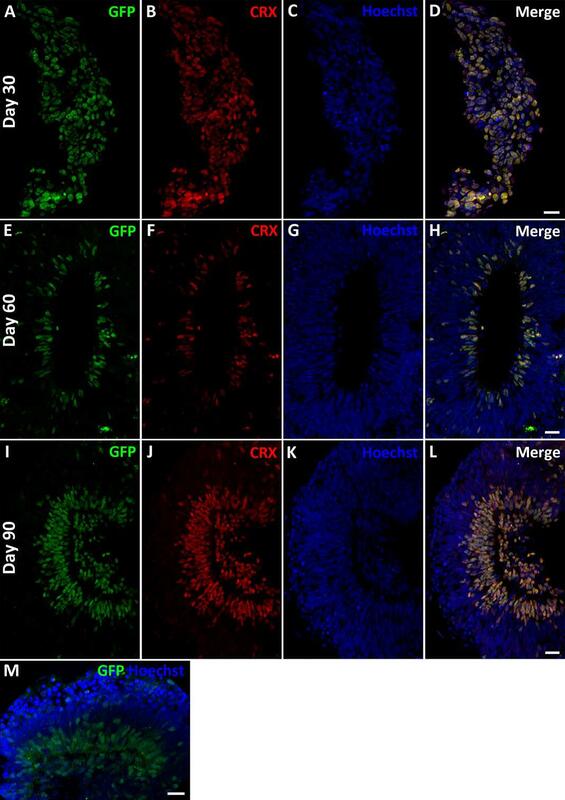 Rat corticospinal axons also regenerate into human donor grafts of caudal spinal cord identity. Collectively, these findings indicate that spinal cord ‘replacement’ with homologous neural stem cells enables robust regeneration of the corticospinal projection within and beyond spinal cord lesion sites, achieving a major unmet goal of SCI research and offering new possibilities for clinical translation.